Perennial leading sire Tiznow's top offering at the Fasig-Tipton Gulfstream Sale of 2-year-olds on Wednesday brought a winning bid of $550,000 from the team of West Point Thoroughbreds and Albaugh Stable, agent. Consigned by Bobby Dodd, agent, hip No. 93 had breezed a lively eighth-mile in :10 1/5 seconds during the Under Tack show. The dark bay is the first foal out of the unraced Giant's Causeway mare N The Now, who is a daughter of the stakes winner and track record-setter Positive Energy, also the dam of multiple graded stakes-placed Fantasy of Light, also by Tiznow. Champion sire Tiznow had 19 stakes horses in 2018 alone, and has more than 40 lifetime graded stakes winners. 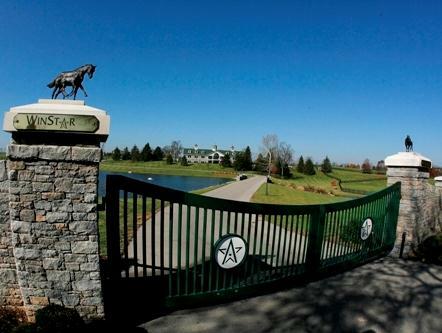 He is standing the 2019 season at WinStar Farm for $50,000 stands and nurses.